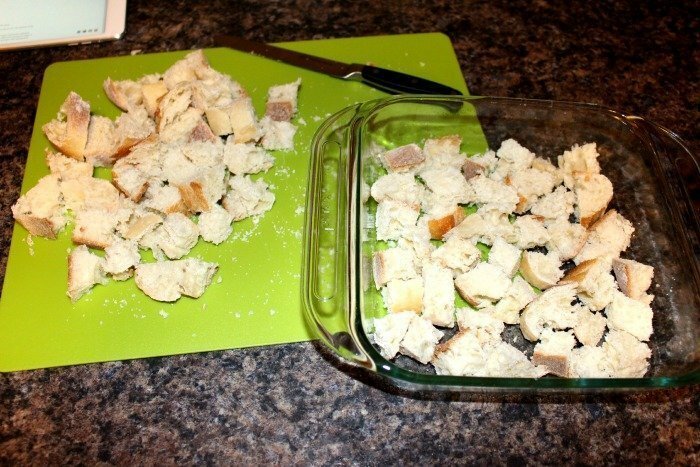 During my senior year of college, I cooked Ryan breakfast almost every Sunday morning. Since he worked at one of the local college bars, it always was nice for him to wake up to a fresh meal, and it gave us time to catch up and discuss the previous night’s musings. Now, unfortunately, due to our varying schedules, it is a rare occasion that I get out of bed on the weekends to whip something up. 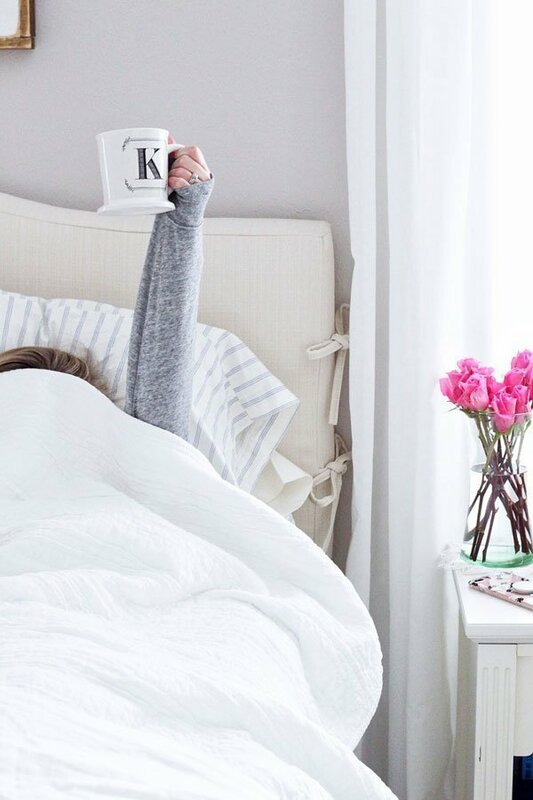 Ryan either has to work, or we would rather drink coffee and share breakfast cookies in bed while we check emails and get geared up for the day. Since we had dinner plans every night of Ryan’s birthday weekend, I decided to make him breakfast on his actual birthday to take a break from all the eating out (and for me to feel like a good wife for cooking my hubs a birthday meal!). My mom’s french toast is one of Ryan’s favorite breakfast meals, and he also recently has acquired a taste for blueberries. 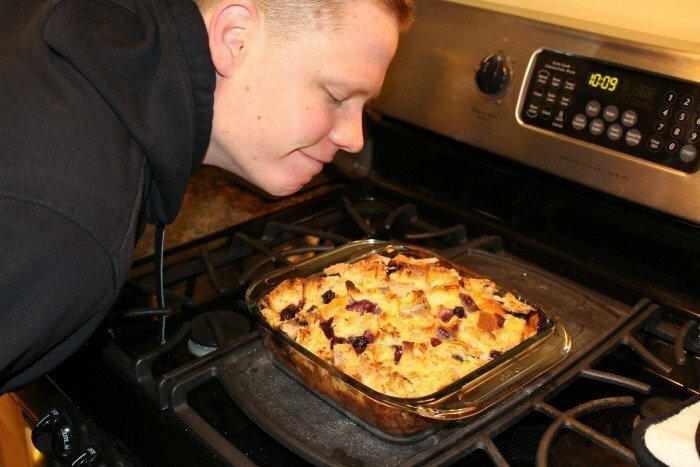 So when I found Deliciously Yum‘s recipe for overnight blueberry french toast casserole, I knew I had a winner! 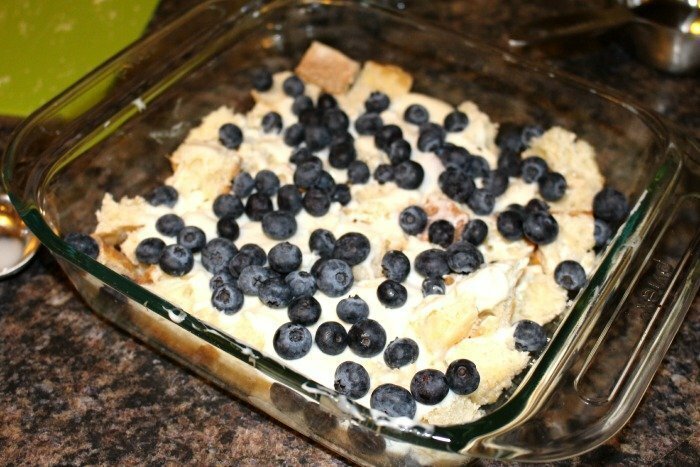 Although a bit messy (mostly because I can not NOT make a mess in the kitchen), this recipe is a cinch to make; prepping everything the night before makes it easy to just pop it in the oven the next morning and wait for the house to smell like cinnamon and blueberries. 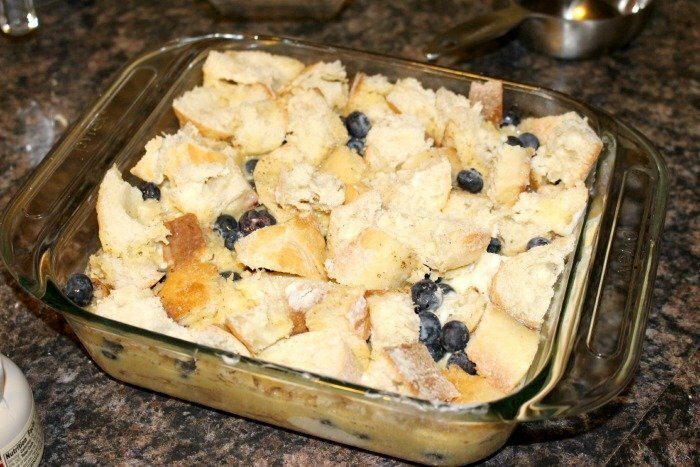 The recipe says to take the casserole out of the fridge 30 minutes prior to putting it in the oven, but I originally skimmed over that part; however, rest assured that even though it only was out of the fridge for 10-15 minutes, it still turned out great! Ryan and his stomach, most importantly, were pleased. with foil, and refrigerate overnight. another 30 minutes or until the center is set. It should look something like this before you cover the dish with foil and put it in the fridge overnight. Your house should now smell like heaven. Seriously. Couldn’t you just devour that right out of the dish? I told you that Ryan was a happy birthday boy. 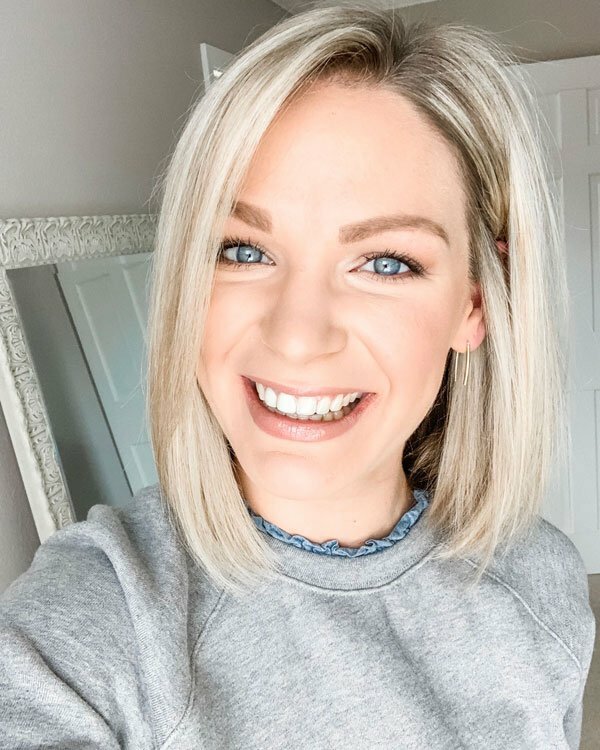 It's so simple – let me know if you give it a try and how you like it! I can't even put into words how good it makes the house smell. So yummy! Thanks girl, let me know if you try it! Ummmmmm that looks so good! What a spoiled boy you use to make him breakfast like that! Mark is lucky if I make him a Nespresso in the morning 😉 Seriously though that looks amazing and would be so yummy to bring to a brunch! This looks pretty amazing, will have to give it a try next time I host a brunch! Definitely going to be making this!! 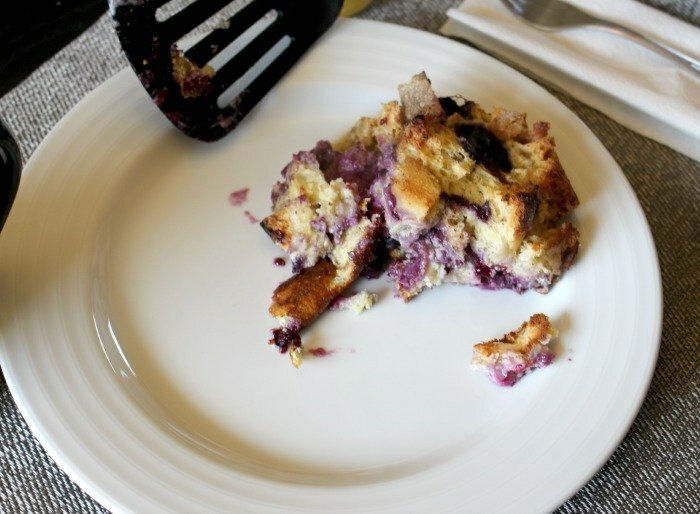 I love French Toast and Blueberry, this looks so easy! Thanks for sharing. mmm. . .looks great! 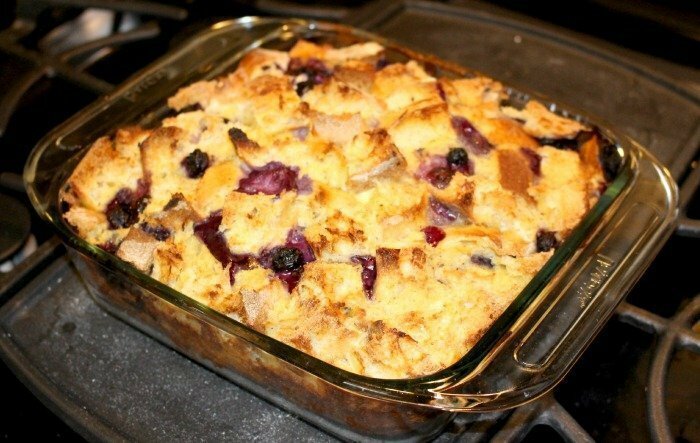 I've been wanting to try one of those french toast casserole recipes, I've pinned many! Looks very yummy! Glad Ryan was a happy Birthday Boy! You can almost smell how good it tastes lol! !